Nick Hancock's reconnaissance mission to Rockall. 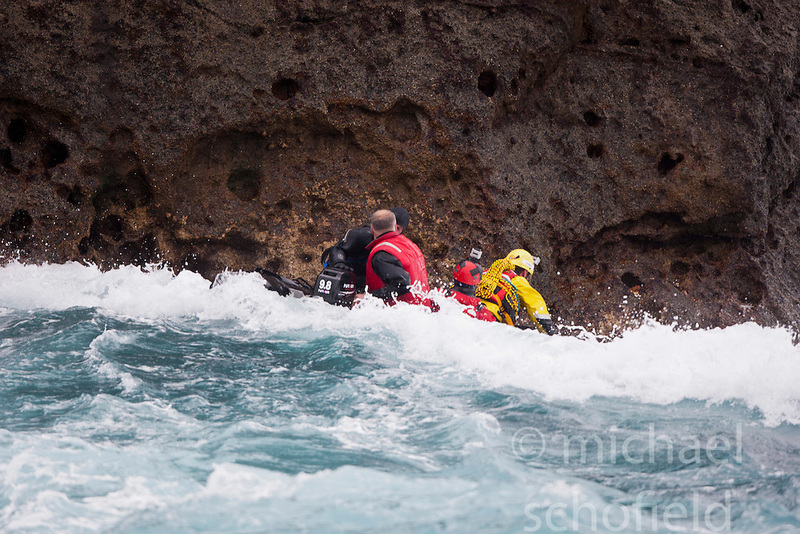 Nick Hancock (yellow dry suit), on his reconnaissance mission for a future 60 day occupation of Rockall, an extremely small, uninhabited, remote rocky islet in the North Atlantic Ocean. .The Rockall Jubilee Expedition, a unique endurance expedition to be undertaken by Nick, in order to raise funds for Help for Heroes.